Spa Montage in Beverly Hills recently opened up a new nail studio to complement their beauty bar and spa. I was invited to try out their services, so I went with a "Beverly Hills Pedicure". I was really excited for the experience because I haven't had a pedicure in years. I usually just do my own nails, so this really was a special treat. I was greeted with a glass of champagne in the waiting room right before I met my nail technician, Jackie. She brought me over to a private room, which included a cushy chair and foot spa for the pedicure. There were so many colors to choose from (over 80! ), but I eventually decided on a pretty lilac shade (SpaRitual's "Thunder Road"). From the nail polishes to the lotions, all of the products used in the nail studio are from SpaRitual, an organic and eco-friendly line. Jackie also informed me that they use brand new tools (nail files, etc.) for each client, which I thought was really good to know. The pedicure even included a hot stone massage, which felt heavenly. The whole thing lasted about an hour, but it went by pretty fast because the nail technician was friendly and talkative. I relaxed in the lounge area while I waited for my toes to dry. There was an assortment of dried fruit and citrus water left out for guests, so that was really nice. 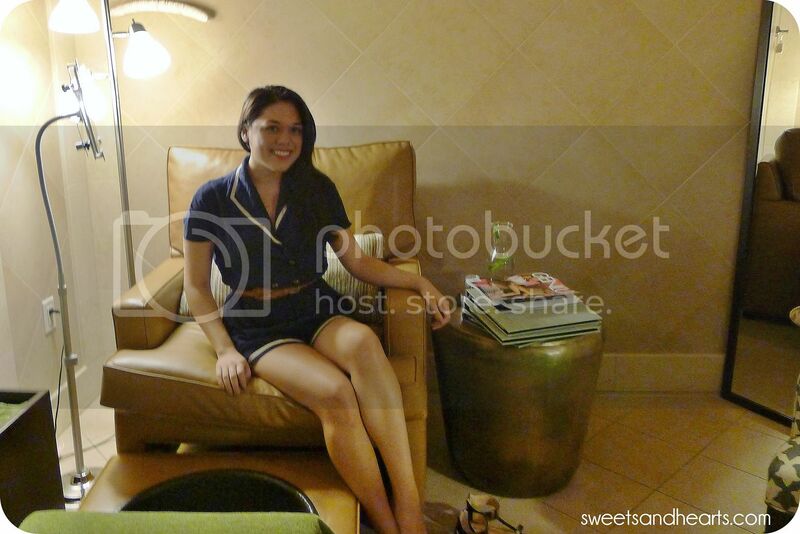 Overall, I had an amazing time at Spa Montage! Jackie was wonderful, as was the rest of the staff, and the spa itself is gorgeous and absolutely pristine. If you're ever in Beverly Hills and want to treat yourself, it's definitely worth checking out. You can see a list of all their services here.